Why Should I Teach the Process of Science? This module was authored by Anne E. Egger, Stanford University, as part of a collaboration between Visionlearning and the SERC Pedagogic Service, and includes the products of a July 2009 workshop on Teaching the Process of Science. It is easy to see that these misconceptions are exactly what leads to the common misunderstanding that predictions for climate change are unsupported and that evolutionary theory is speculative. Addressing these misconceptions are a critical aspect of teaching the process of science. See more misconceptions compiled by participants in the 2009 Process of Science Workshop. We've all encountered students that say, "I don't like science", or "I'm not interested in science because I'm not good at math". These attitudes and motivations are part of the affective domain (rather than the cognitive domain), and strongly influence how students engage with the content you are trying to teach. Students often have developed these attitudes based on a misconception about what science really involves, and explicit teaching about that process can help change those attitudes (e.g. Lombrozo et al, 2009 ; DebBurman, 2002 ). You might think that the students who major in the sciences and do research understand the process of science by the time they finish, but unfortunately, that's not always the case. It is widely agreed that undergraduate research experiences inspire students to pursue advanced degrees and careers in the STEM disciplines (Seymour et al., 2004; Russell et al., 2007 ). In particular, Seymour et al. 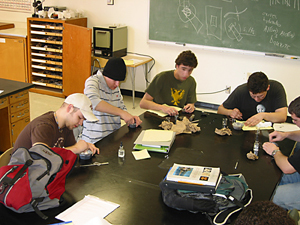 (2004) reported gains in "thinking and working like a scientist" among students who had participated in undergraduate research. Yet in a study of seniors involved in project-based research, Ryder et al. (1999) found a perceived lack of social context for science – not that students perceive science as irrelevant to societal questions, but that they perceive scientists themselves as isolated, working alone, and unaffected by scientific institutions. Yet the scientific community is critically important to the process of science itself, and the lack of student understanding may, in fact, turn some students away from science as a career. And ultimately, only a small minority of college students participate in scientific research experiences, but the number of students that take our introductory courses is vast. 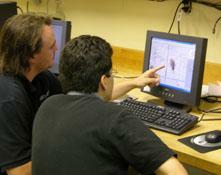 In addition, we would like our students to appreciate and value science as a way of knowing. Some aspects of the nature and process of science, such as debate, can cause the general public to mistrust what they here from scientists in the same way they mistrust politicians who debate an idea. Again, as scientists we recognize that this is a vital part of the process, but if we do not teach our students that this is the case, they are more likely to interpret a scientific debate they way they see other controversies: one side is right and the other wrong.